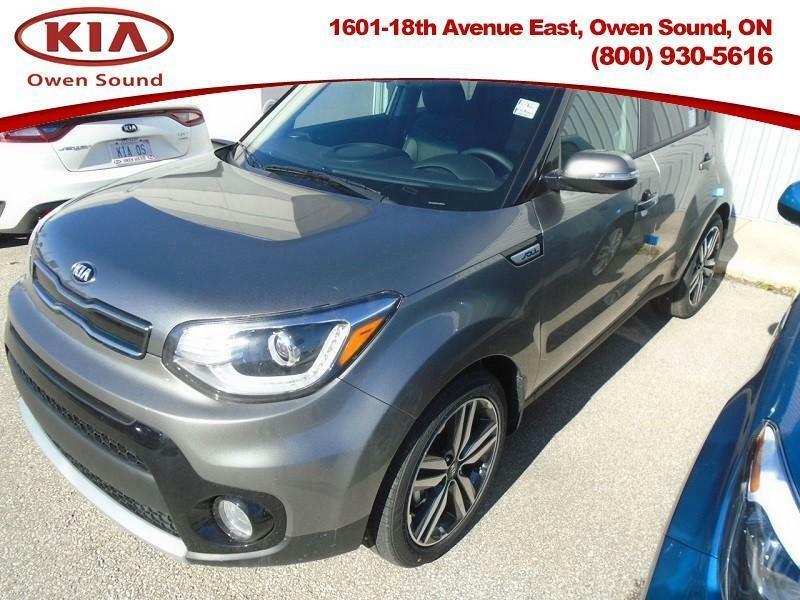 This charming, quirky 2019 Kia Soul will leave you breathless with its highly efficient and uniquely versatile interior. This titanium SUV has a 6 speed auto transmission and is powered by a 161HP 2.0L 4 Cylinder Engine. Our Soul's trim level is EX Tech. This Kia Soul EX Tech is a technologically advanced style statement that allows for hours of thrilling uninterrupted cruising. The standard list of features includes elegant alloy wheels, power heated side mirrors with integrated turn signals, heated wipers, dual power sunroofs, front fog lamps, LED brake lights, fully automatic projector beam halogen headlamps, a ppremium Harman Kardon 8 speaker stereo with an 8 inch display, SiriusXM, Bluetooth connectivity with voice activation, Apple and Android smartphone compatibility, an integrated navigation system, heated and air cooled front bucket seats with power adjustment, heated rear seats, full leather seat trim, a heated leather steering wheel, an auto dimming rear view mirror, proximity keyless entry and push button start, automatic air conditioning, distance pacing cruise control, piano black interior panel inserts, power door locks with auto-lock feature, a rear view camera, blind spot detection sensor, autonomous emergency braking, lande departure warning, rear cross traffic alert, and much more. This vehicle has been upgraded with the following features: Leather Seat Trim. Higher Price+ $1300 ABOVE avg.